Coeliac disease - are you one of the missing 500,000? But campaigners are hoping that’s about to change thanks to the current Awareness Week (from 11-17 May), which will not only highlight what coeliac disease is - a serious condition caused by an adverse immune reaction to gluten, a protein found in wheat, rye and barley - but more importantly aims to boost symptom recognition and improve diagnosis rates. 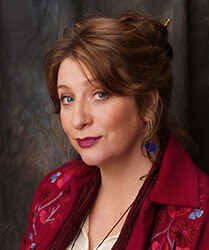 Actress Caroline Quentin was one of them, prompting her to become the charity’s new patron and to back this latest awareness push. ‘The campaign to reach the half a million still undiagnosed really resonates with me because I struggled for years with increasingly bad symptoms: stomach pains, vomiting, bloating, headaches and total exhaustion – but I didn’t know they were symptoms of coeliac disease. For the actress, finding out what’s wrong has been a positive thing. ‘I was living with untreated coeliac disease and getting more and more poorly so I know it might sound silly, but the diagnosis has been a joyful thing because it’s one of the few diseases you can treat without taking a tablet. You remove something from your diet and you get better, which is amazing. ‘I have only been "officially” diagnosed for a few weeks. Following a blood test about three years ago, coeliac antibodies were found but very recently I had the "gold standard" gut biopsy which required me to go back on to a gluten containing diet. The biopsy showed damage to the lining of the gut and confirmed a diagnosis for coeliac disease. These can include: regular bouts of diarrhoea, wind, constipation, bloating and abdominal pain, as well as headaches, regular mouth ulcers, weight loss in some cases, unexplained anaemia, hair loss, a dermatitis-like skin rash and general tiredness. It’s also important to remember that the symptoms can vary hugely between individuals, be mild and develop gradually, or be triggered after a stressful event or a gastric infection. There is no cure and the only treatment is to follow a gluten-free diet for life. Obvious sources of gluten to avoid include breads, pastas, flours, cereals, cakes and biscuits. 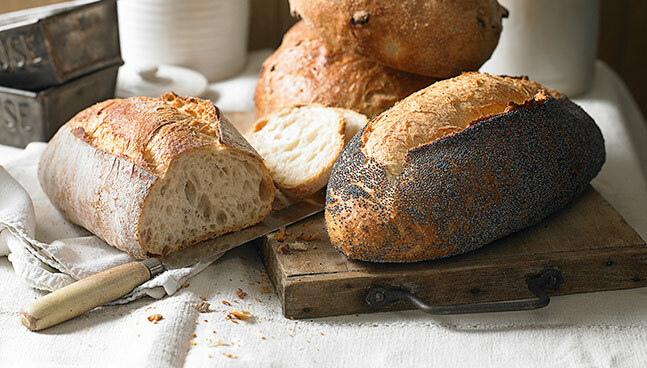 For people with the condition, eating gluten damages the lining of the gut, prevents normal digestion and vitamin and mineral absorption, and if untreated can lead to serious health problems. So if you think you could be one of the missing 500,000,what should you do now? Check out the new Coeliac UK website www.isitcoeliacdisease.org.uk which has a new self-assessment checklist. But don’t self diagnose. If you are concerned, discuss your symptoms with your GP. A blood test is the first step, followed by a biopsy to confirm the diagnosis and check what damage the condition might have already caused to your gut. As both the blood test and biopsy look for antibodies produced in response to gluten, it’s important not to follow a gluten-free diet, or you could get a false negative result.